Pictured from left to right: Jude Kurtas, Mike Jandoli, Matt Palmer, Mike Loricco, & Jason Loricco. The team finished with the best season in school history. Another season ends, and another Hillsborough sports team has a dominating season. 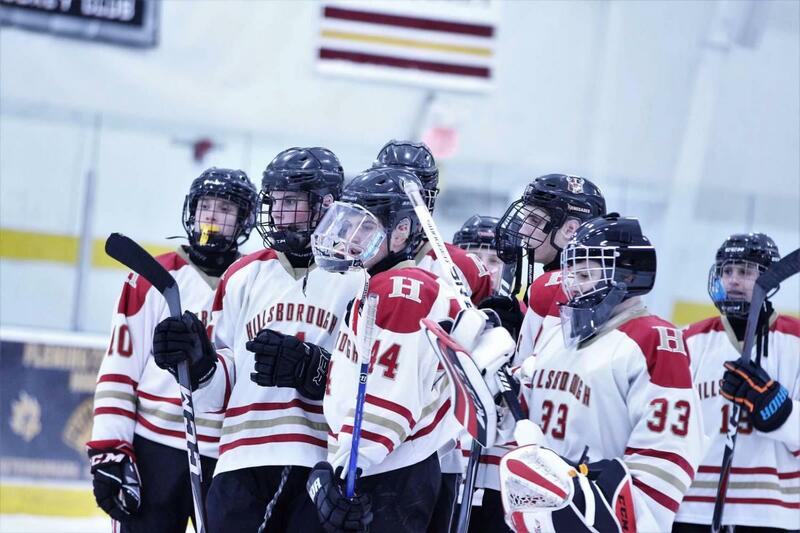 This year marked a monumental season in the HHS hockey team’s history. The team finished with a final record of 21-7-1, going 10-4-1 in their competitive conference. During their conference tournament, they were able to beat Bridgewater and Ridge before losing in the county championship game against Pingry. Later in the season, they made it to another championship… this time playing for the state final. Throughout the state tournament, they defeated Mount Olive, Ocean Township, and Wayne Hills. The final game, played at the Prudential Center, home to the NHL’s New Jersey Devils, unfortunately resulted in Morris Knolls defeating the Raiders 6-1. Despite the far location, Hillsborough fans were able to fill the student section at the stadium and bring their usual spirit and volume to help out the team. As the game progressed, the fans continued to support the Raiders. Although they didn’t take home any hardware, this season went down as the best in Raider hockey history. 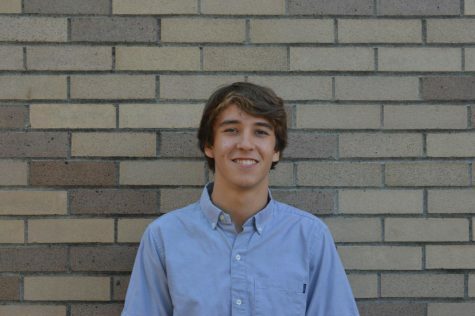 Freshman Jason LoRicco was an absolute force in goal this year, with a total 628 saves and a 0.89 save percentage. Juniors Jason Wolff and Lleyton Soares had outstanding seasons as Wolff finished with 36 goals and 43 assists (79 points), and Soares finishing with 17 goals and 37 assists (54 points). 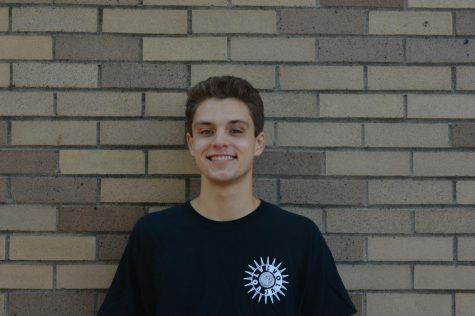 The most impressive season, however, was had by junior Jude Kurtas as he was able to net 57 goals this year, while dishing out 55 assists, finishing with a total of 112 points. The boys do have to say goodbye to two large contributors on each side of the ice. 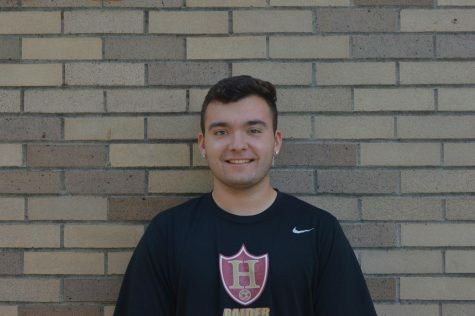 Senior captain and forward Mike Jandoli, who finished the season with 6 goals and 16 assists (22 points), and Palmer, who was credited as the team’s best defenseman and racked up 6 goals and 25 assists (31 points) this season, have both played their final games in the Boro maroon and gold. “The team will be impacted in a negative way because we will be losing key players and leaders, but in a good way because it will help to push kids to fill a stronger role as they grow as players,” Wolff said. Despite losing some talent with the exiting seniors, the team expands to more than just six players on the ice at once; the core of the returning players is young and will continue to be a force in central Jersey next year.